This is one of my small scale decoupage projects, that take only about 5 mins to do. 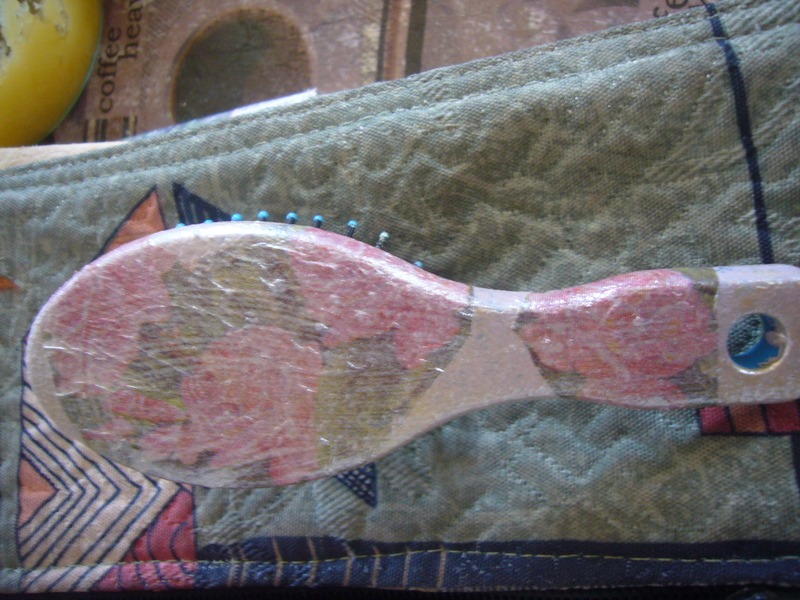 I have decoupaged a plastic brush. It was an old brush. I repained it with acrylic paint and decoupaged it. This entry was posted in Decoupage ideas, Uncategorized and tagged brush decoupage, decoupage, plastic decoupage. Bookmark the permalink.